Due to high interest, additional hotels have been secured. 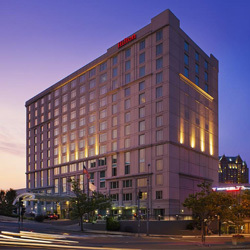 Located in the heart of downtown Providence, this stylish hotel is within walking distance of Historic Federal Hill, Providence Place Mall and Rhode Island Convention Center. 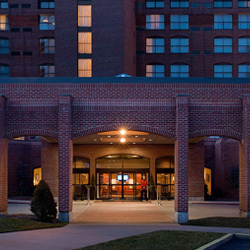 This unique hotel is located across from the Rhode Island Convention Center, The Providence Place Mall, local attractions and restaurants. The Bistro offers breakfast and dinner plus evening cocktail service. The newly renovated spacious guest rooms offer sweeping views of the city. 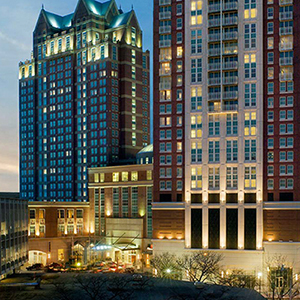 The Graduate is a landmark hotel across from the Rhode Island Convention Center. Today, deeply woven within the city’s fabric and culture and beloved by generations of guests, The Graduate is an authentic Providence tradition. 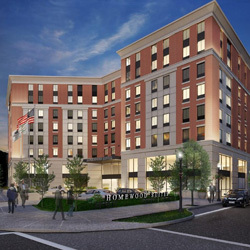 This modern hotel provides all the comforts of home and an ideal downtown location in historic Providence. Each suite features a full kitchen and home comforts. Start each day with a complimentary hot full breakfast, and join us Monday-Thursday for our complimentary evening social. Three blocks from the convention center. 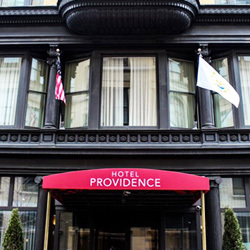 Hotel Providence is a boutique hotel nestled in Providence’s Arts and Theater District with 80 guest rooms. 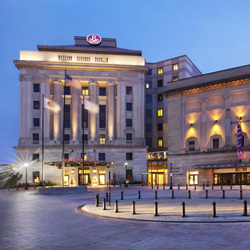 Experience the culture, personality, and energy of a hotel that celebrates the arts at Hotel Providence, founded on passion! Three blocks from the convention center. 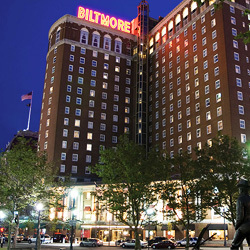 Once a Masonic Temple, this hotel offers a unique blend of historic architecture and modern amenities. Unwind in upscale rooms and suites. We offer sophisticated décor, complimentary Wi-Fi and flat-screen TVs for your ultimate relaxation. Three blocks from the convention center. 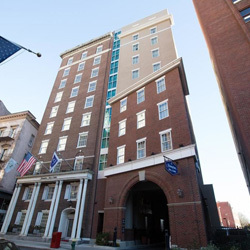 This protected historical building in the heart of the downtown financial district and offers a clean and comfy guest room or suite, including free high-speed internet access and a free hot breakfast or grab a free Hampton On the Run Breakfast Bag, available Monday to Friday. Five blocks from the convention center. Design and technology come together in the lobby and common spaces offer an inviting ambiance with free Wi-Fi, concierge, and personalized family-friendly service. Relax at AQUA, Providence’s only poolside lounge and outdoor event space. One mile from convention center. Shuttle provided. 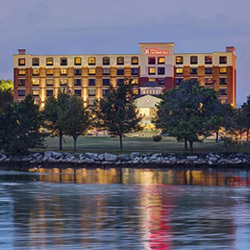 The only waterfront hotel in the Providence area, offers rooms with harbor views as well as plenty of dining and shopping options. Complimentary shuttle to downtown included. Three miles from convention center. Shuttle provided. Conference Direct is the official housing company of the the Brewers Association. 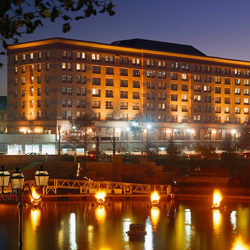 The BA is aware of companies pretending to be the “official” housing company, offering special non-refundable rates at official event hotels, and requesting credit card information. Companies identified in this scam include, but may not be limited to: CBS International, Convention Housing Services, Exhibition Housing Services, Global Housing Company, Global Travel Partners, National Travel Associates L. L. C, NTA Rooms, and Travelingo Inc. Contact by any other housing company or hotels should be considered a scam. All attendees, sponsors and exhibitors should be aware that no one from the Brewers Association, Homebrew Con or Conference Direct solicits directly by telephone for hotel bookings or special discounts. The American Homebrewers Association has worked on behalf of the homebrewing community since 1978 and celebrates a membership of more than 46,000 homebrewers and beer enthusiasts.